The year is 1788, and several naval vessels leave Plymouth bound for Australia. On board are the first convicts sentenced to ‘transportation’, the British government’s new punishment for those convicted of crimes ranging from stealing a loaf of bread to murder, in a bid to deal with overcrowded and unhealthy prisons. Acting as custodians are a mixture of Royal Marines and officers from the Royal Navy, headed by Captain Arthur Phillip, the new governor of Australia. Life on these ships is harsh and unforgiving. Convicts huddle together to shield themselves from the cold, or cower in fear as a fellow inmate is given three hundred lashes in front of them. 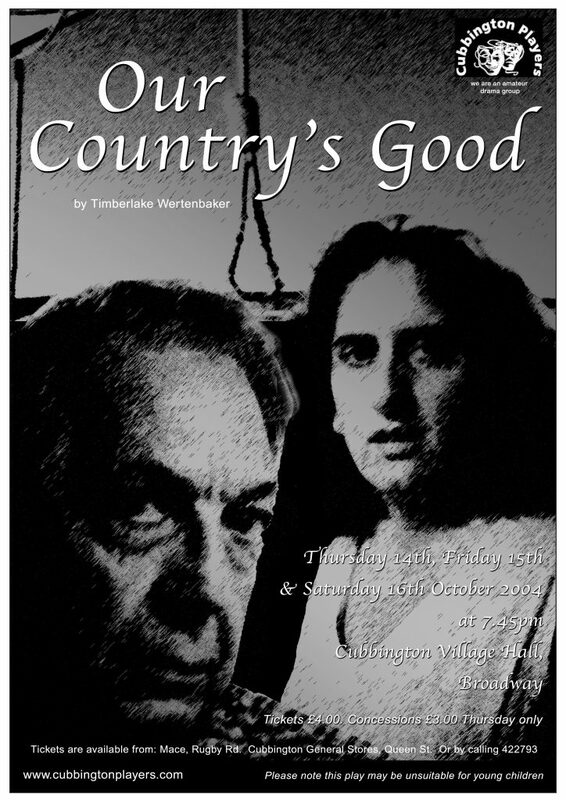 This, the dramatic opening to Wertenbaker’s Our Country’s Good, premiered at the Royal Court (directed by Max Stafford Clark and starring Jim Broadbent and David Haig) in 1987. Second Lieutenant Ralph Clark, a young officer desperate to attract the attention of his superior officers, resolves to direct the first play ever to be staged on the shores of this new land. Against stiff opposition from high-ranking officers like Major Robbie Ross, Ralph begins to cast the convicts to play characters in Farquhar’s The Recruiting Officer. As an audience, we witness the rehearsal process and the many setbacks that befall Lieutenant Clark and his cast, set against the complex relationships that begin to develop between convicts and officers, equally set adrift on a lonely and distant island. It is a play of extreme drama, of wonderful comedy and of beautiful poignancy. We cannot fail to be touched by Ralph’s devotion and courage in the face of stern opposition, nor can we fail to be shocked at the brutality of the bigoted Major Ross, whilst the likes of Robert Sideway and Dabby Bryant bring warmth and light to a brilliantly-written play. From the midst of grief and tension comes a very clear and necessary message; that through theatre and art even social untouchables can discover a sense of dignity, a sense of purpose and a sense of pride. Timberlake Wertenbaker’s play is by turns stark, funny and heart-warming, and the Players’ real success here was in getting all three key aspects across despite a minimal set and a small cast often doubling up fairly substantial roles. It tells the story of 18th-century transportees – women of ill repute, petty crooks and people simply caught in the wrong place at the wrong time – attempting to stage a play amidst the brutality of the colonial penal camps. Olly Hogben was excellent as the obnoxious twitching face of the regime in Major Robbie Ross, offset wih aplomb by Dan Hawkins’ 2nd Lt. Ralph Clark and the overly-enthusiastic exploits of crim-turned-lovie Robert Sideway (Phil Kohler). A reformist initially through ambition Clark may have been, but Hawkins carried his emotional journey from longing and loss to purpose and love beautifully, aided by Joseph Hughes’ believable visionary in New South Wales governor, Capt. Arthur Phillip. Barry West’s Harry Brewer cut the tragic figure well, and if his melodrama in perhaps the play’s most challenging part could’ve been reined in to better effect occasionally, his portrayal of the cuckolded older lover was one of the standout performances, full of an earthy longing for the simple life. Cameos of note were provided by Ken Beer’s stargazing detached Will Dawes and Hazel Galvin’s bawdy Meg Long, but it was the central female roles who stole the show. Hazel Blenkinsop’s complex and defiant Liz Morden retained just enough of a glimmer of hope to be truly moving, while Ruth West’s Mary Brenham made the audience feel genuinely unsettled – here was a naive, simple and tragically abused girl who shouldn’t have coped with penal life or the play – but somehow manages both.